Thanks, this was nice, but no thank you. Well I know WHAT an RP is lol.. What's up with the ones here though? Does it have to be another character from a different story or can I make one up? What world do these ones take place in? 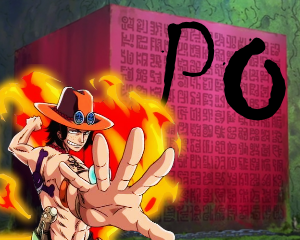 One Piece world or separate? How often do I have to participate to keep it alive? What prerequisites and restrictions are there? This is certainly a sudden request. I'm mainly on the site for theories and tier discussion and haven't had much time for those lately even. What's up with the RP section? I've yet to check it out, truthfully. Maybe you can talk me into it. hey where do i post the bio? So you gonna discuss this move or not? okay what is PHY and what is technique scooping? Just add details or change format here and there ?_? And also, could I change her bio in the future? 10:01 PM - ShichiDrewKai mentioned Shinobu in post Easter Egg Hunt 2015!! 11:24 AM - Eustass Captain Kid mentioned Shinobu in post Where Your Destiny Lies In One Piece....(with a twist)? 03:49 PM - Going Merry tagged Shinobu in thread Should I leave? Should I stay? Should I come back another day? 07:06 AM - Kikyo tagged Shinobu in thread OPB Twitch Channel? 09:57 AM - Sanaa tagged Shinobu in thread any good comedies? Given to the female member of the month, who stood gloriously above the others. "Mellorine~~~~~<3" - Horny Sanji to any female.